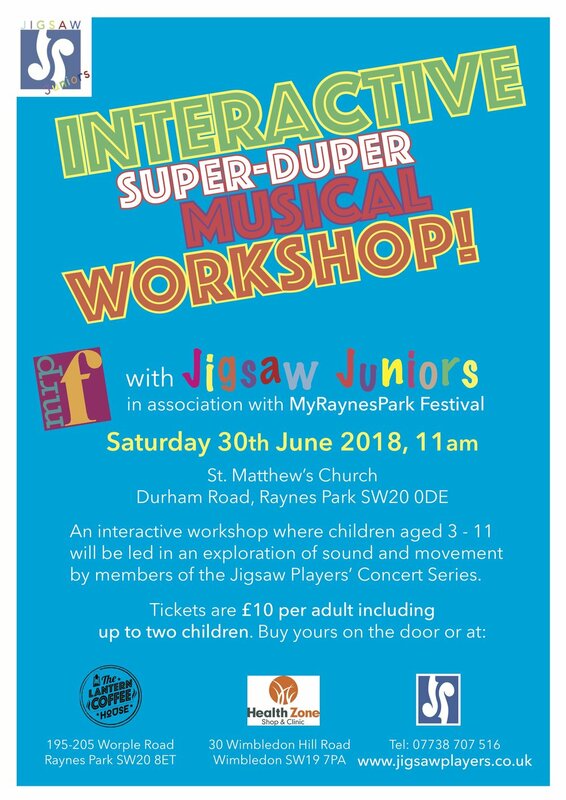 Join us for our last Juniors' workshop of the season at St Matthew's Church as part of MyRaynesPark Festival. A fun and interactive workshop where children aged 3+ will be led by JPCS members in an exploration of sounds and movement. Snacks and refreshments will be available for purchase. You can purchase your tickets right here, from one or our ticket selling points (Lantern Coffee House, Raynes Park and Health Zone, Wimbledon) or at the door.